An update to Vol. 4, pp. 1324–1328. Sepphoris grew considerably during the Roman period and sustained damage in the mid-fourth century, most probably caused by the earthquake of 363 CE. It has become evident that Sepphoris’s civic center, which was constructed during the Roman period in the lower city, expanded in the course of the Byzantine period, though the basic plan of the city remained largely unchanged. It is not yet possible to determine when and how its magnificent buildings were destroyed or when its population decreased. It is clear that there was a decline at the site during the Islamic period, reflected in abandonment and destruction of earlier structures, the looting of earlier masonry, and the construction of simple buildings scattered about the site. In 1990–2002, four teams worked in various parts of the city, the excavation of which is an ongoing project. 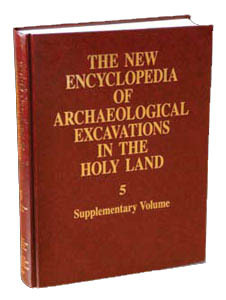 The Hebrew University team (directed by E. Netzer and Z. Weiss through 1994 and by Z. Weiss from 1995) worked on the summit and in the lower city, with most of the excavations taking place in the latter. The Duke University team (directed by E. M. Meyers, C. L. Meyers, and K. Hoglund) conducted work in the domestic area on the western summit. The University of South Florida team (directed by J. F. Strange) unearthed the public building northwest of the intersection of the two central streets in lower Sepphoris. A systematic survey and excavation of the water system to the east of the site was carried out by Tel Aviv University (directed by T. Tsuk).